Some may contend that the latest YouTube portrayal unveiled by Canfor to dispel what they claim to be stereotypical view of forest industry people misses the mark. 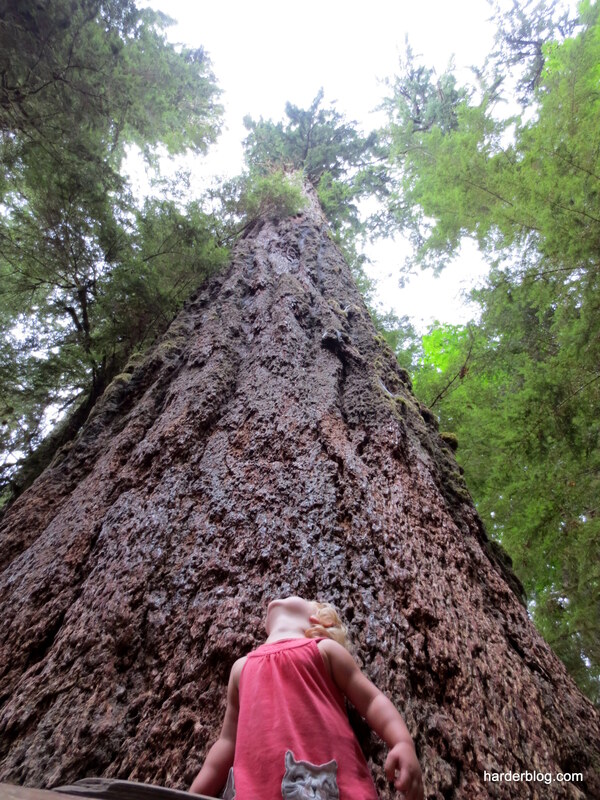 Feedback we’re hearing with respect to the message is a perceived focus that “there’s a common stereotype that people in the forest industry are just lumberjacks with big beards and flannel shirts” is barking up the wrong tree. It’s suggested the glossy presentation’s emphasis on outdated stereotypical characterization does little to dispel the so-called stereotype. What do you make of Jacked About Lumber? Forest products marketing, sales and distribution was the focus of Friday’s session. I joined presenters Marc Saracco, Executive Director of the North American Wholesale Lumber Association (NAWLA), Ian McLean, Marketing Coordinator at Spruceland Millworks, Gerry Pankratz, President of Olympic Industries, Chris Gatson, Senior Scientist at FP Innovations, and Tracey Arnish, Senior VP of People and Culture at Canfor. BCom students with wide-ranging career aspirations ranging from organizational behavior and human resources to accounting and finance attended. 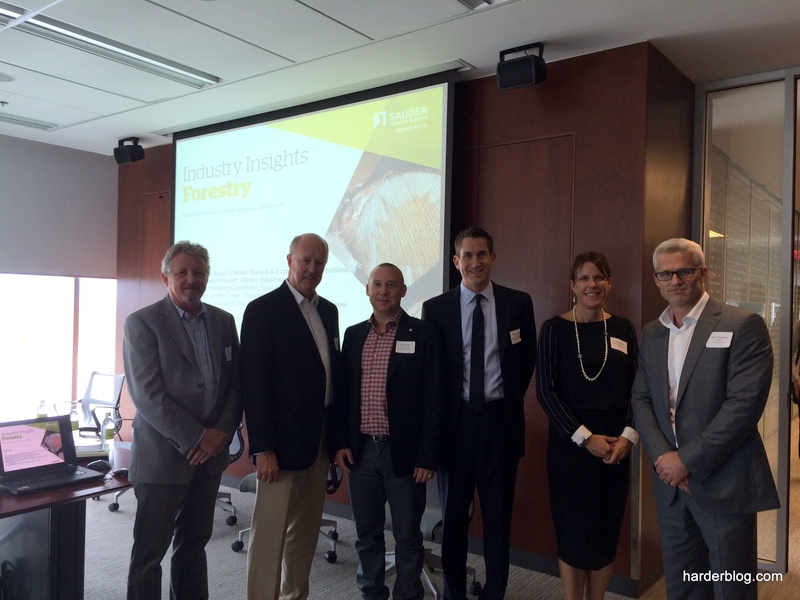 It’s evident that a sensitivity to resource sustainability – stewardship of the forest – factor heavily into general interests and potential forest industry careers. I especially enjoyed a brief time of networking with students after the presentations. Many had insightful questions about a career in lumber trading. I was able to share a little bit about my own experience with trading floor pressures, while being reminded that university classrooms still hold plenty of pressures of their own. As the Organizing Committee Chair for next year’s NAWLA Regional Meeting in Vancouver April 2nd, I had the pleasure of meeting Executive Director of NAWLA Marc Saracco for dinner Thursday evening. Ian McLean, Organizing Committee Chair of the NAWLA Leadership Summit, also attended. Marc confirmed the show floor for the upcoming NAWLA Traders Market November 12-14 in Chicago is sold out – 235 exhibitors are registered. A Traders Market attendee list is available here. While China is on pace to import record volumes of logs and lumber this year, it’s no secret that demand offshore has moderated in recent months. 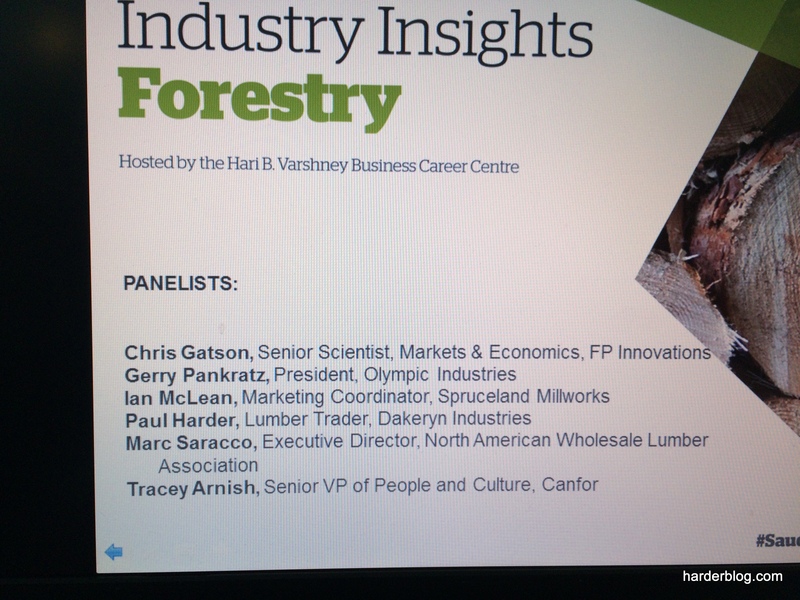 Last November, David Elstone, forest industry analyst at ERA Forest Products Research, stated that “If the Chinese were to stop buying today, the North American market would be in massive disarray.” CIBC Analyst Mark Kennedy meanwhile considers new housing activity in the U.S. to be “the key variable” today in gauging future demand for lumber. “The biggest demand variable continues to be US housing starts,” confirms Mark. We now turn to the clashing housing headlines below. Is it any wonder why both procurement and risk teeter in the minds of anyone buying wood products today? In January, the federal government, which is reducing its share of the mortgage market to lure back private capital, cut Federal Housing Administration (FHA) loan sizes in 652 high-cost U.S. counties. Buyers, suffering from sticker shock after large price gains in 2013, are pulling back..
Builders are competing with a growing supply of previously owned homes as investors withdraw from the market. Orlando’s inventory of listings jumped 81 percent in August from a year earlier. In Phoenix, the supply increased 26 percent. The median price for an existing home in Phoenix is $189,900, a discount of more than $100,000 compared with a new home. Real residential investment grew at an 8.8% rate in Q2 and is tracking at nearly 15% in Q3. We continue to see substantial upside for the housing sector in the long run. This view is driven by the large gap between the current annual run rate of housing starts, which have averaged about 1 million over the last three months, and our housing analysts’ projection of a long-run equilibrium demand for new homes of about 1.5-1.6 million per year, estimated as the sum of trend household formation and demolition of existing homes. Two factors are essential for the outlook: housing affordability and mortgage credit availability. The demise of Canadian hardwood flooring? Just when you thought all lumber traders were alike, a study involving 800 sales professionals has revealed there are eight different types. 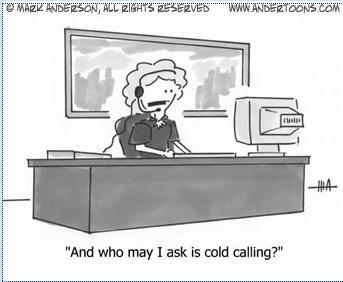 The Harvard Business Review (HBR) confirms the “best” three types of salespeople are Experts, Closers, and Consultants. The “rest” are Aggressors, Focusers, Narrators, Socializers, and Storytellers. A description for each type is available here.